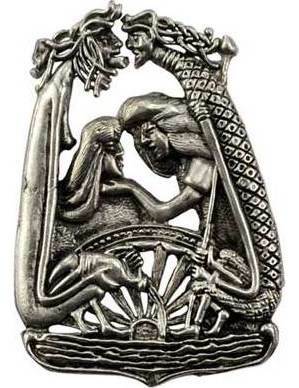 Symbolizing new beginnings, this amulet depicts Lif ("life") and Lifthrasir ("eager for life") after Ragnarok in a remade world. Made in USA. Has cord. Pewter. 2 1/2" x 1 3/4"